Things escalated rather quickly during the third Democratic debate on Saturday night, which pitted former Secretary of State Hillary Clinton, Vermont Sen. Bernie Sanders, and former Maryland Gov. Martin O'Malley against each other on stage in Manchester, New Hampshire. O'Malley seemed particularly aggressive — so aggressive, in fact, that at one point, Sanders told O'Malley to "calm down a bit," and Clinton asked him to "tell the truth." O'Malley clearly has something to prove — he's losing to Clinton and Sanders in the polls, by a lot — but it's hard to tell if his aggression came across as effective or not. The "calm down a bit" moment occurred after O'Malley criticized Sanders' and Clinton's inconsistent stances on gun control. O'Malley assured viewers that he was telling the truth about each of his opponents' voting records and platforms, but it was just one of the many times that O'Malley lashed out at both his opponents and the moderators during the debate. O'Malley interrupted the moderators multiple times when he didn't think he was getting enough time to voice his opinion, compared with the time that Sanders and Clinton were getting (although asking the moderators for more time isn't particularly unique in the debate setting). As distracting as O'Malley's comments may seem, his aggression makes sense. At the time of debate, Real Clear Politics had reported that Clinton led the Democratic race with more than 55 percent of the primary vote, followed by Sanders with roughly 31 percent. 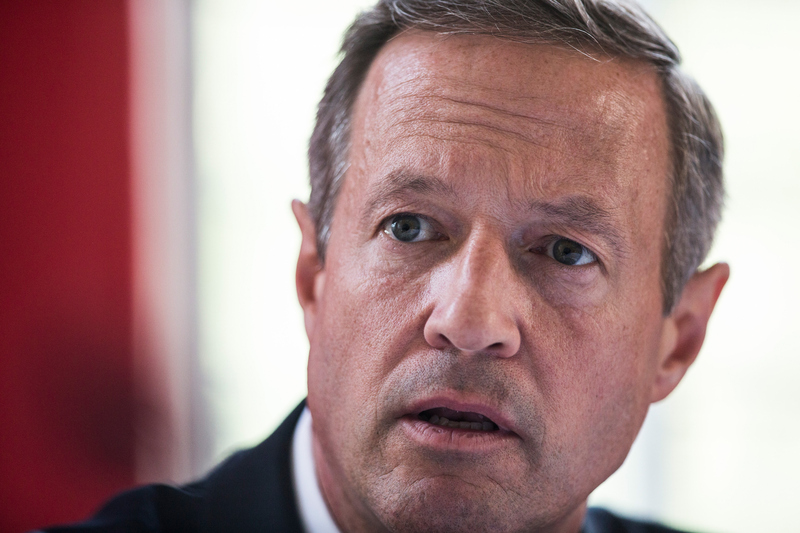 O'Malley lagged far behind, with between three and four percent of the vote. Saturday's debate, then, was perhaps the last major chance for O'Malley to make a necessary impression on the American people before business as usual shuts down for the holidays. And, as the field continues to shrink on both sides of the primary race, who knows how many more debate stages O'Malley will land on as we head into 2016. Ultimately, O'Malley's aggression came across as little more than a transparent tactic to get his fading voice heard on Saturday night. Sanders and Clinton seemed to know that, calling him out immediately and telling him to calm down. Perhaps O'Malley should have created drama with his platform talking points, not his disruptive interjections.